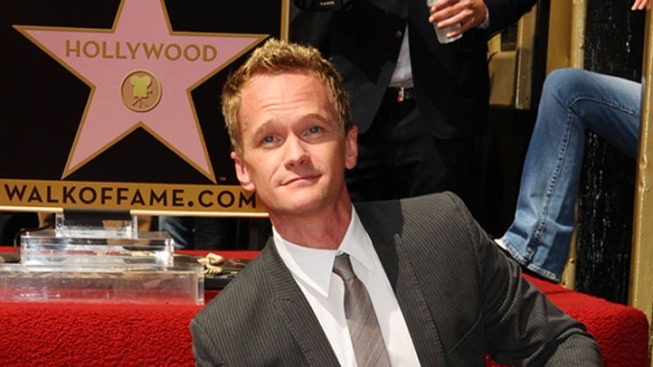 A rare child star success story, Neil Patrick Harris is now being honored with a star on the Hollywood Walk of Fame. Naturally, the actor couldn't bring himself to be too earnest during the unveiling. "As much of an honor as this is, unfortunately, it won't be the first time I've been plastered on the sidewalk in front of the Frolic Room," he said. "And yes, that includes right now." After noting that his star will be near the Pantages theater and a bar, he later told E: "I love it. "It's the perfect blend. I'm partly theater and I'm partly getting wasted, so it's a nice combination." On hand for the festivities were Harris' "How I Met Your Mother" co-star Jason Segel and the "Dr. Horrible's Sing-Along Blog" creator Joss Whedon. "Neil has been entertaining audiences in television, stage, the Internet and film for over 60 years, and he just honestly couldn't look better," joked Segel. Segel went on to say that the consummate showman begged for the opportunity to host his own ceremony. The Emmy Award-winner, of course, first rose to fame at age 16 with the 1989 television series "Doogie Howser M.D." The multi-talented actor and singer has also hosted the Emmy Awards and the Tonys. Harris' longtime partner David Burtka, with whom Harris is raising infant twins, was also in attendance.